Nikko AM has been supporting a range of causes largely focusing on children’s education. This is done through four main pillars; volunteering, charitable donations, holding finance education seminars for youth and parents, and disaster relief. Selected by employees, the efforts focus mainly on children and children’s education worldwide. Every two years the Charitable Donations Committee, made up of employee volunteers, reviews NPOs towards which employees can donate. The Firm then matches each donation. In 2017, the Firm committed to one centralised organization as its global cause and formed a partnership with UNHCR, the United Nations High Commissioner for Refugees. The UNHCR partnership aims to act as a global overlay to complement existing local outreach and charities which focus on similar causes. The organization runs outdoor programs for disadvantaged children in Japan, aiming to create positive, memorable experiences . At the same time, the program aims for the participants to build trust and friendships, overcome challenges, and learn to be themselves. The organization supports disadvantaged teenagers entering the work force by assisting with career development, leading to a fair chance for these individuals to find adequate employment. The organization takes unused wheel chairs, and refurbishes and sends them to children in disadvantaged situations who do not have easy access to wheelchairs of their own. 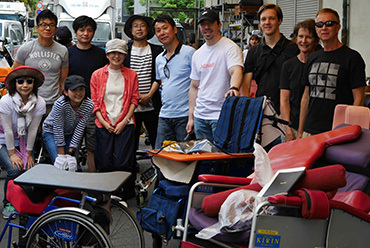 Our employees participate in the group’s volunteer event to clean wheel chairs twice a year. 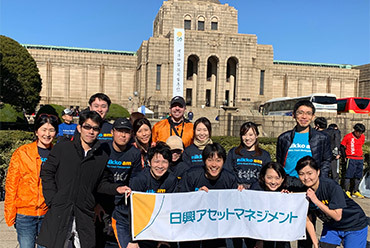 Nikko AM has sponsored and participated in the Financial Industry in Tokyo (FIT) for Charity Run since 2006. Made-up of financial institutions, this annual event raises funds to support NPOs in Japan. Since 2011, Nikko AM has held workshops for children and families to learn about managing money. The workshop aims to make financial education a fun experience and to contribute to the promotion of financial literacy for the society.